This year’s programmation celebrates 3 anniversaries : Reger, Busoni and Shostakovitch. 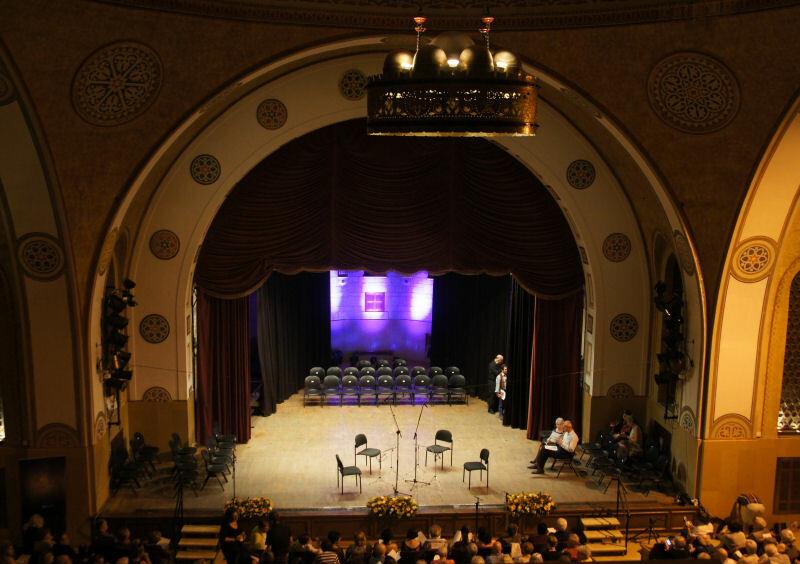 Located in YMCA of Jerusalem, the Mary Nathaniel is a superb Hall of a capacity of around 400 seats, with a terrific acoustic: even seated on the last row, sound is clear, vivid, well-balanced. The Prokofiev Sonata for 2 violins (1932) is a masterpiece, a challenge not to boring the listener in such a configuration. The two violinists, though very different from each other, were at the same time competing and being so close, in a perfect mutual understanding, perfect intonation too. Definitely Alexander Sitkovetsky (the nephew of the violinist and conductor Dmitri Sitkovetsky) will have been one of my revelations during this festival. Excellence will be reached again with the Shostakovich’s Piano Quintet no. 2, (1940) played in full-tone and with dynamism, a perfect equilibrium piano / strings, swinging tempi and a touch of humour from the pianist. The Prokofiev’s first sonata (1946) was also very well rendered, with a superb atmosphere in the Andante. The programme concluded with Shostakovitch’s Suite on Verses of Michelangelo Buonarroti, but we had to leave. This is another example of the smart programmation by Elena Bashkirova, confronting two apparently close composers. The Kodaly Duo for violin and cello (1914) may be a little more known than the Prokofiev sonata for two violins given yesterday. 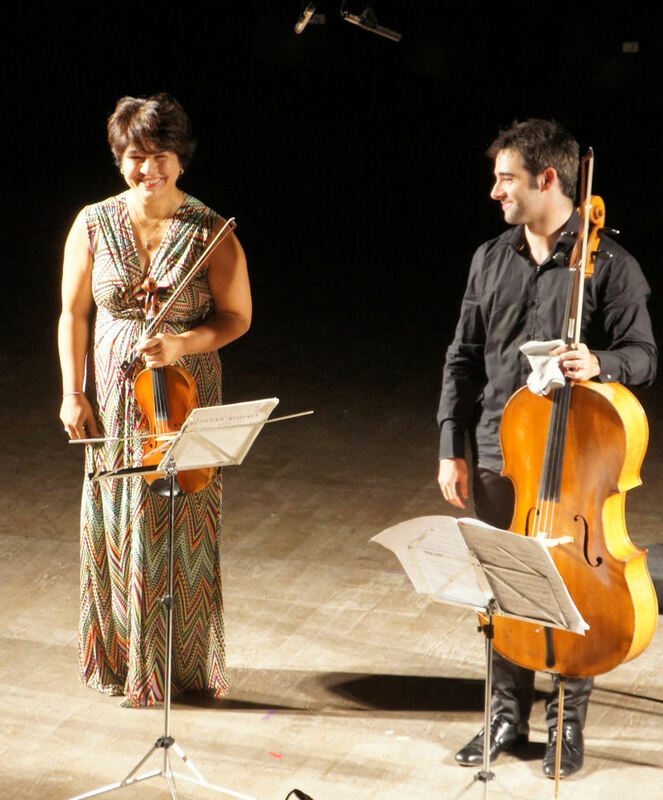 The soloists played it with a great clarity, not exaggerating its potential expressionism. 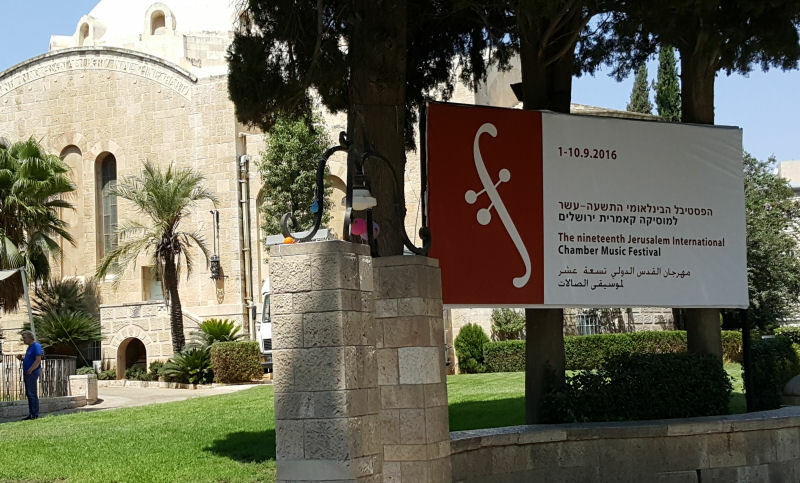 The Israeli creation of Iman Leef‘s Yearning for clarinet and string quartet was kind of a conversation between the strings with and around the soloist. It has a moving atmosphere and is certainly a valuable addition to the instrument’s repertory. One always wonders why a pupil of Berio (among others) write nowadays in a kind of Schoenberg’s early works style. Again, Chen Halevi displayed his mastery. The French cellist Edgar Moreau had a great success with the Chopin’s cello sonata (1847) with the elegance of his phrasings and the purity of his sonority; only the complicated 1st movement wasn’t clarified enough, but it is the case for most interpretations. As she mentioned in her interview, Elena Bashkirova insists on including Lieder in the programmation. Liszt’s ones are still rather unknown, though rather lacking of clear lyric lines, they have a real poetic appeal, well rended by Marina Prudenskaya. Finally, another characteristic of the Festival: bringing unknown or forgotten works to the public; this was the case with Bartok’s Piano Quintet (1904). I is in an early style of Bartok’s music, sort of hungarian Brahms with czardas. It was played with investment and energy and shown a rather surprising romantic lyricism. 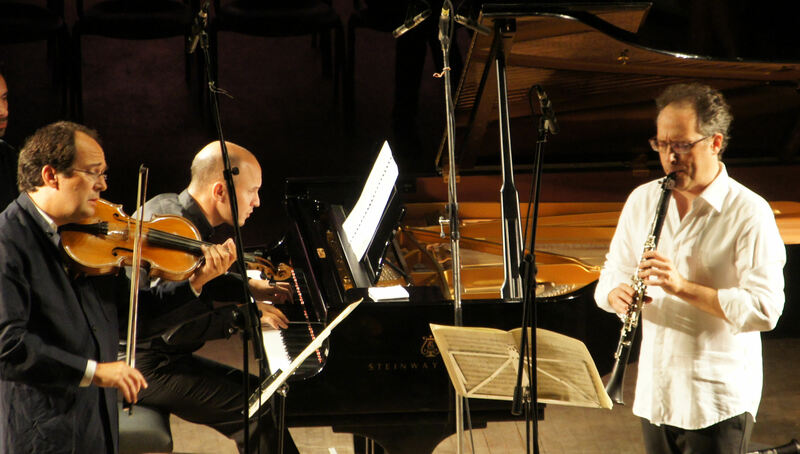 Three of the 8 pieces for clarinet, viola and piano, played standing by Chen Halevi and Miguel da Silva, presented a superb association between the two instruments with a fresh nostalgy, sometimes even fairytale. István Várdai and Denis Kozhukhin joined Chen Halevi for the Brahms Clarinet trio (1841). Impressive full sonority for the first ans dynamic control of the second to match his partners’ sonority. Reger String Trio n° 1 (1904) is also a masterpiece, played with great transparency by Rainer Honeck and his partners. 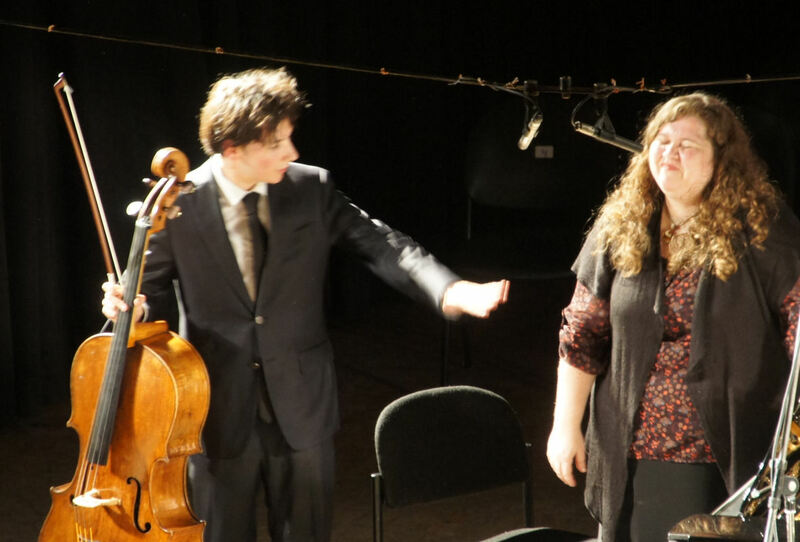 They were even facetious in the scherzo, though Reger’s joyfulness is rather ‘second degré’…. Even lesser known than the Liszt’s ones yesterday, some Reger Lieder were sung and invested by the experimented Robert Holl. Superb accompaniment by Louis Lortie, one of the best piano sound heard up to now. He told me after how the piano part was difficult “it took some time to sort out things…”. But the “clou” of the concert was the Brahms Quintet op. 34 (1862). I was right to ask him an interview: Kolja Bacher was certainly for a great part in this extraordinary interpretation, but all players were good, with a special mention to the pianist, Kirill Gerstein, who had to replace on spot a missing Igor Levit and although mastered his so difficult part. Fusion of the players, precision, magnitude: an absolute must. I have been to many concerts, this one will stay in my mind among very few. 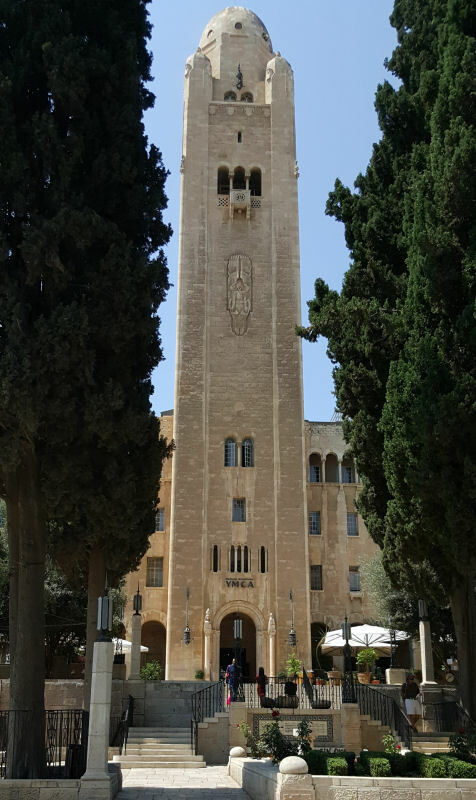 Many thanks for the Jerusalem Press Club. Concerts are broadcasted live here.